McLaren driver Jenson Button has hailed the improvement Honda has made to its power unit after he sampled the upgraded MP4-31 for the first time in testing on Wednesday. 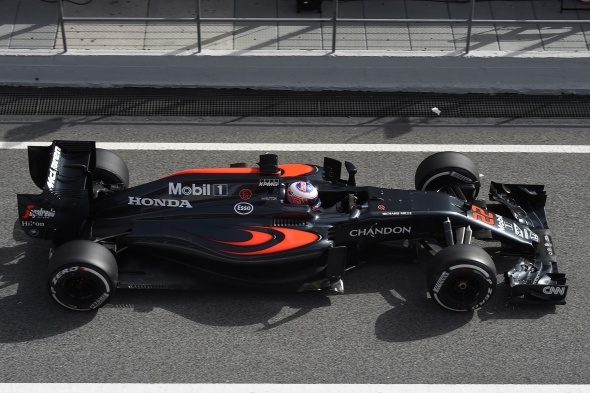 A new specification Honda power unit, allied to fuel gains from supplier Mobil 1, was used by McLaren at the start of the second test and Button returned to action on day two, when he set the fifth fastest time. Button believes that McLaren is now in a position to focus on performance, after spending substantial energy prioritising reliability. "I would say it’s the biggest improvement yet with the power unit over the last 14 months, which is good," he said. "I think the improvement is good, but obviously we’re still a long way off the other guys, and you can see that in the speed traps. "You can definitely feel the difference though, in the initial part of the straight. We’ve got the reliability sorted I think, so we can really, really push the performance with the power unit." Button was nonetheless reluctant to set specific targets for the team ahead of the Australian Grand Prix. "I’m hoping we won’t be hanging off the back, but there’s still a lot of work before I feel that we’re properly competitive yet," he explained. "There’s still a lot of work needed over the next two days to find a set-up that really works for us, because we’re not there."